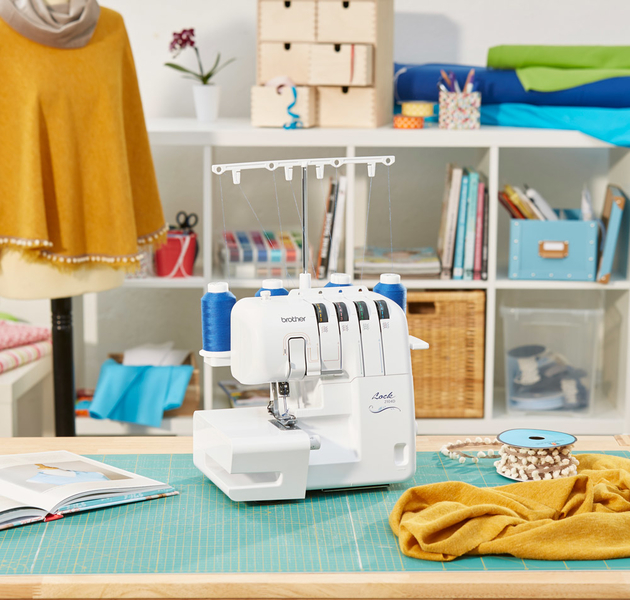 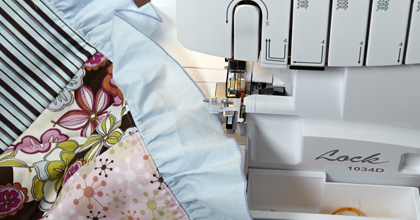 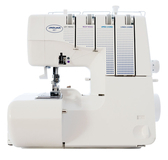 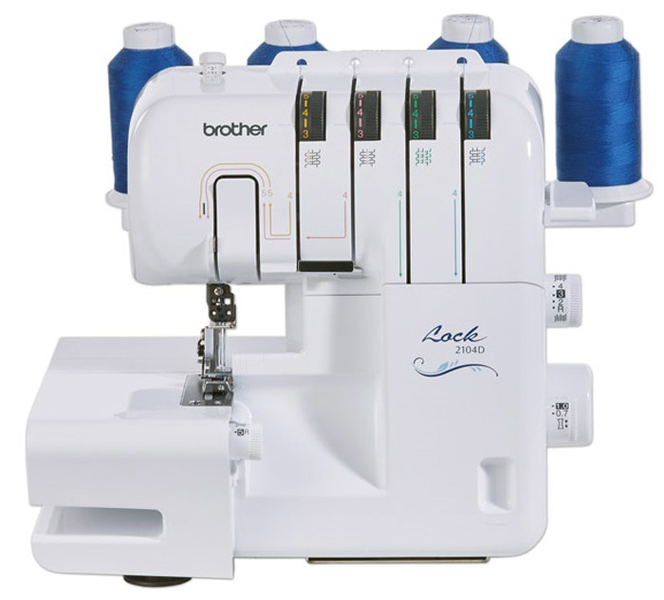 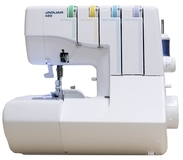 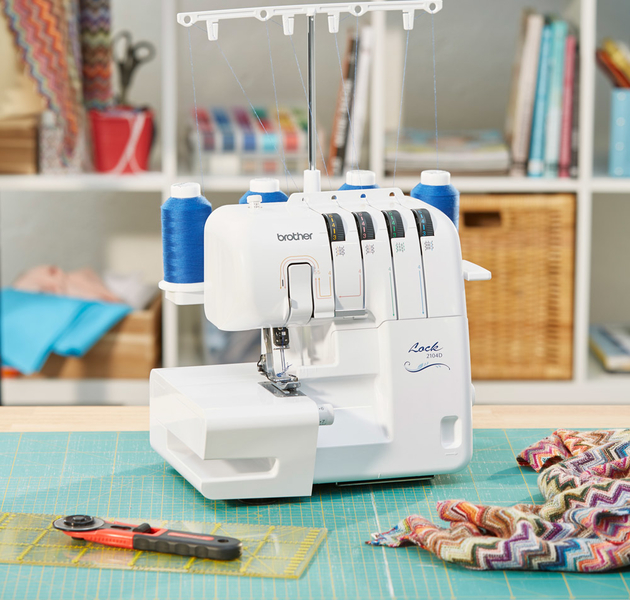 The Brother 2104D Overlock Machine sews seams and trims excess fabric, it features 2 needles and 3 or 4 threads with a differential feed system. 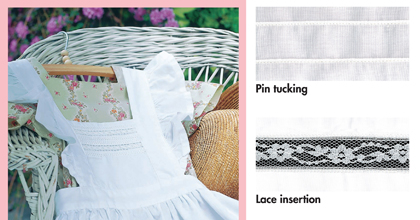 Ideal for all types of fabrics and home decor projects. 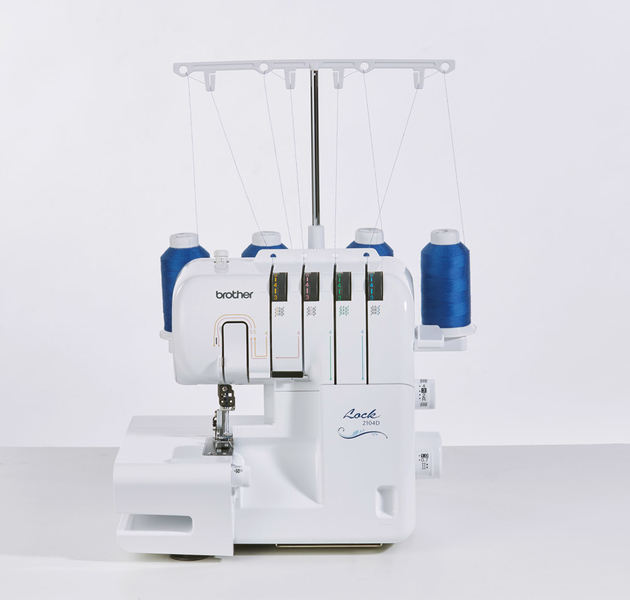 It arrives pre-threaded with 4 large white cones to start stitching instantly straight out the box and has built-in rolled hem at the touch of a button, flatlocking and decorative applications are no problem. 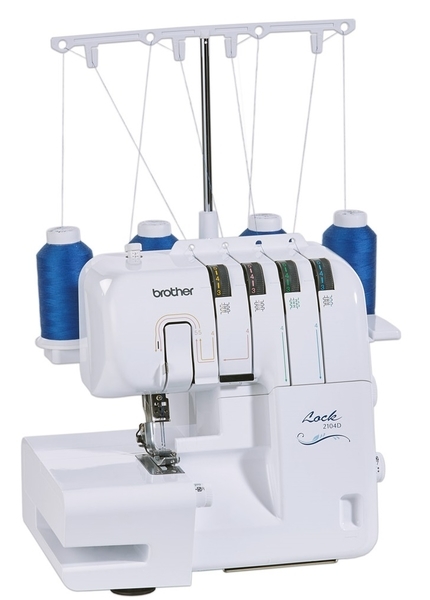 It’s a machine for the novice or someone that has never used an Overlocker. 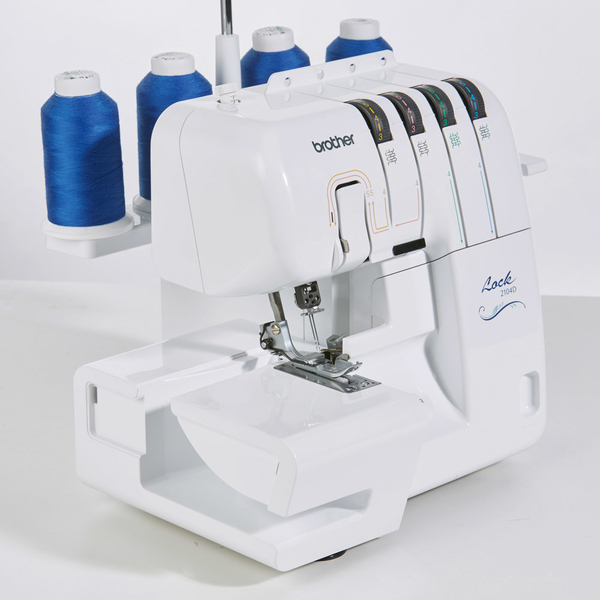 Including a tutorial DVD and operation manual, plus it’s easy to thread and operate; beginners can start Overlocking with no fuss. 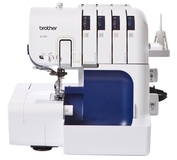 It features a switch-able knife, to cut/trim off while stitching or not. 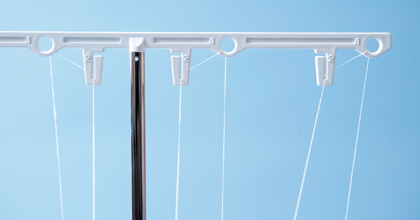 Easy lay in threading with tension release for correct threading. 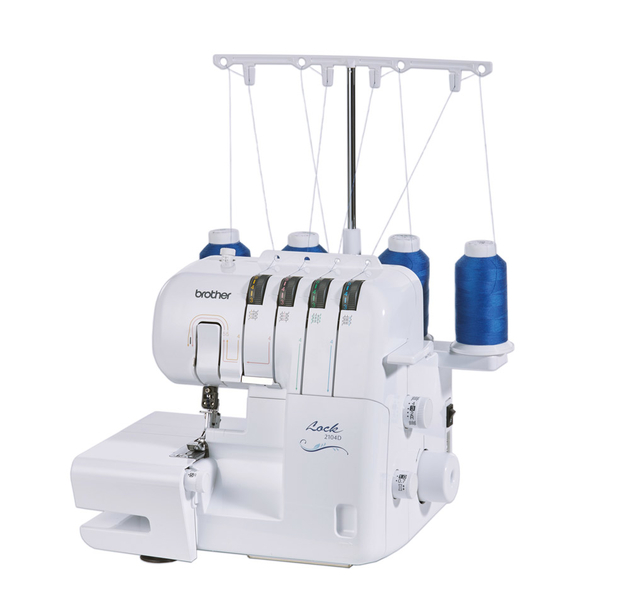 Adjustable stitch length control and adjustable differential feed mechanism to allow for gathering of fabric or sewing with stretch fabric. 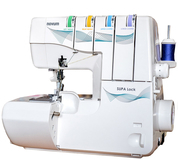 The large, long bed to allow easy feeding of larger items, yet remove the extension table for overlocking of trouser legs and other hard to reach places with the free arm, the electronic speed control for maximum needle penetration at slow speeds. 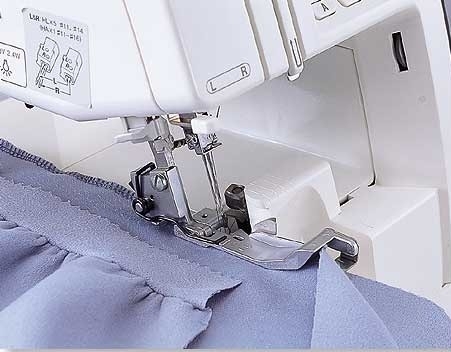 The Slant needle bar allows a great view of working area and means the presser foot lifts over large hems with ease. 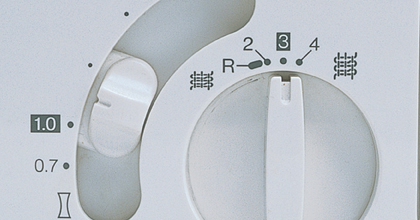 Also a bright LED bulb is fitted which gives off no heat, uses less electricity and has a better lit work area. 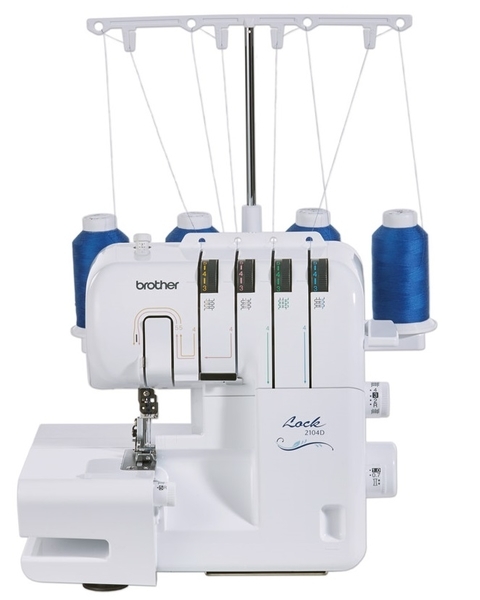 All of the adjustable dials are on the right hand side of the machine now compared with the older models where the dials are on the left, this enables you to adjust without having to move your sewing project out of the way to get to the dials. 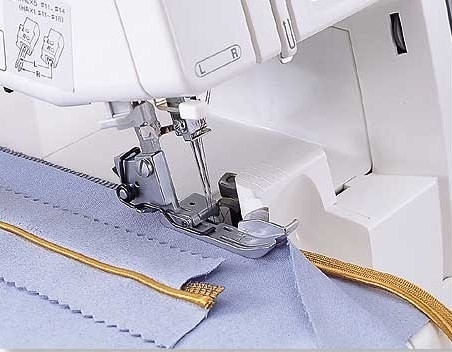 Uses standard type sewing machine needles. 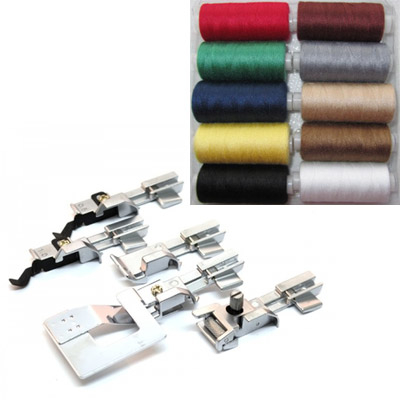 New designed thread guides to eliminate tangles.